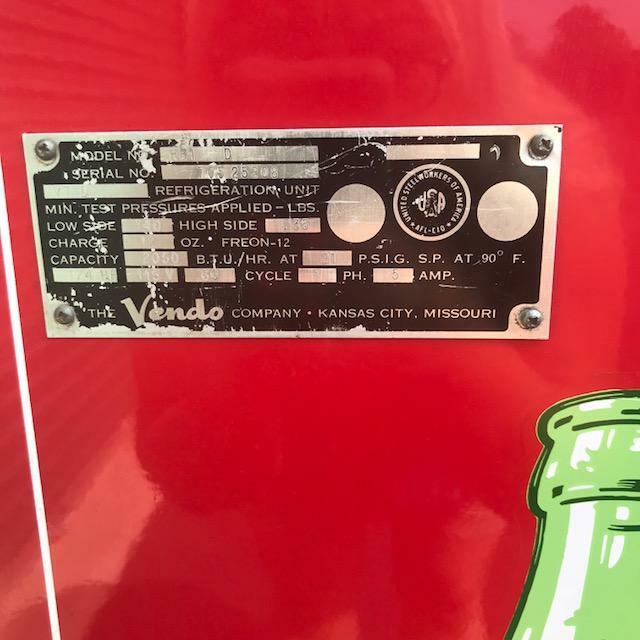 The Vendo 81D may be one of the most sought-after soda machines, also called “drink boxes”, among collectors. 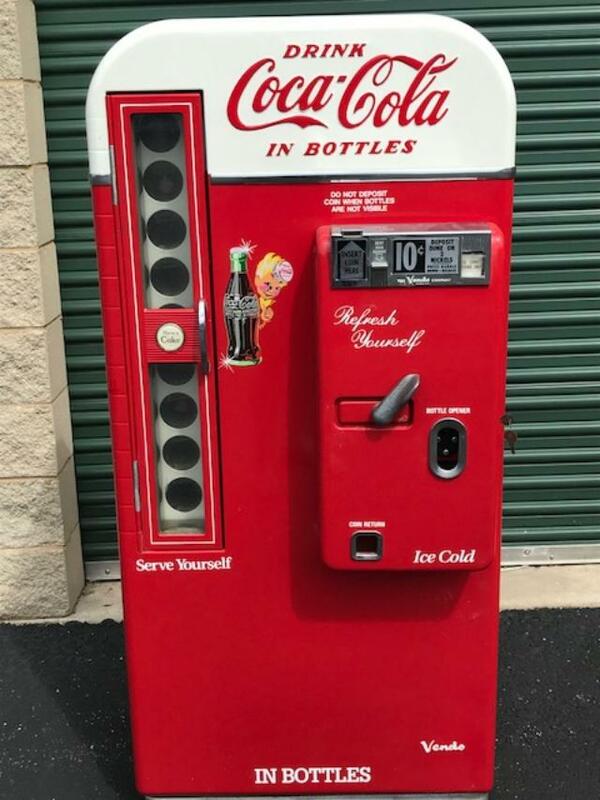 It was introduced in 1955 and was made exclusively for the Coca-Cola Company by Vendo. 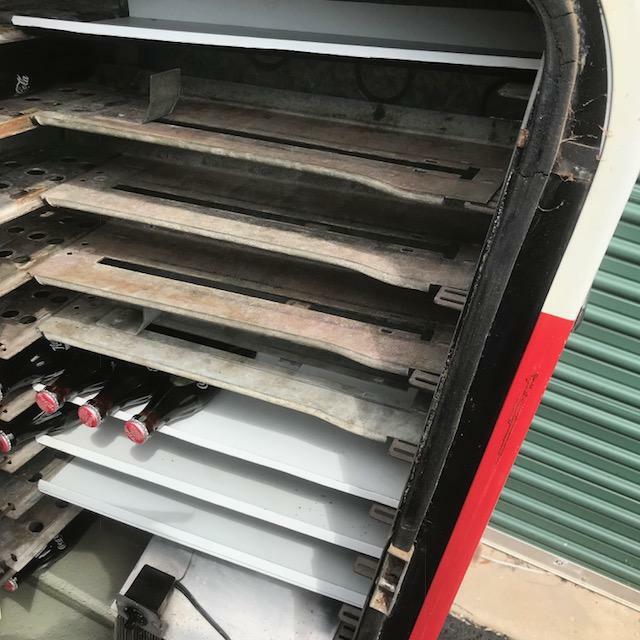 The V-81D pop machine is very similar to its predecessors; both the 81A and 81B, but has a much larger coin door. The V-81D is a “white-top” model, like the V-81B, whereas the V-81A is solid red with a white Coca-Cola logo. And the embossing is larger and positioned more to the right than on the V-81A. The V-81D was manufactured from 1955 to 1958.